Last week, a playlist for the Olympics opening ceremony was leaked to the press. Officials have not confirmed whether the 86 tracks are in fact what will be played during the ceremony, but the general consensus seems to be that they give a flavour of what we can expect. Unfortunately, this appears to be a continuation of our culture’s marginalisation of women. Only eight of the tracks are by female soloists or groups featuring women: Sugababes, MIA, Adele, Emeli Sandé, Soul II Soul, Eurythmics, Millie Small and Amy Winehouse. Eight. Out of eighty-six. That’s 9%. Which is, quite frankly, pitiful. It certainly doesn’t reflect the “exuberant creativity of the British genius“. Or maybe we should just assume that this British genius is a man. Which female artists would you pick to represent Britain? 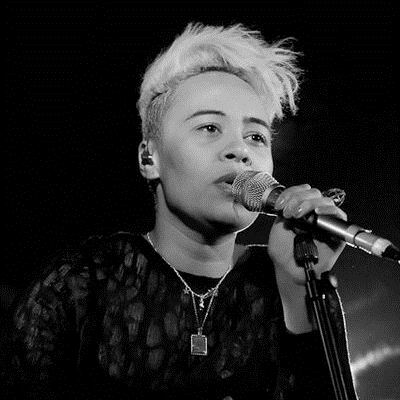 Photo of Emeli Sandé by PKimage, shared under a Creative Commons Licence. and Millie Small. A whole EIGHT. Oops, sorry! Have updated the post. Runnin’ Up that Hill by Kate Bush would be an obvious Olympic choice, surely? You missed Winifred Atwell as well, but 9 still isn’t great. I’d like to be able to say I’m surprised but I can’t. I am surprised that JesseJ isn’t on the list though as she is very high profile at the moment, but I would have loved to see Lily Allen who has just announced she’s ‘unretiring’, Alison Moyet who is still going very strongly, Heather Peace, Rumer, Sharleen Spiteri, Dusty, Sade (still massive in other countries) and the list goes on and on and on – I probably could have managed to fill the whole 86 places with women but then, a woman wouldn’t do that would they? It is a bit crap, but I’m not sure whether it’s the fault of the games creatives or the fault of the music industry at large over the past 60 years. I tend towards the latter, and to think that it’s tricky to ensure really great equal representation and keep the integrity of the games. The opening isn’t a concert like the closing ceremony, we are told. More it’s a “narrative set to music”. Each song has been very carefully selected to fit the narrative, and presumably the movement, not to showcase the song or artist. The Dr Who theme ( credited to Ron Grainer ) was a collaboration with Delia Derbyshire of the Radiophonic Workshop.